Plex organizes your video, music, and photo collections and streams them to all of your screens. 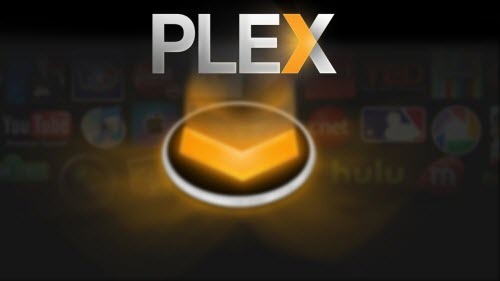 Plex is now available on PS4, Xbox One, Apple TV 4, Roku, HD TV, Tivo, etc. You also can install Plex on your NAS to make your home theater more wonderful. <Read NAS compatible list>. Plex can transcode nearly all video files to make you stream video on TV. But Plex still has flaws, Plex can’t play Blu-ray/DVD, Plex stutters while playing MKV, Plex doesn’t play ISO, Plex transcodes “down” 4K to 1080p on Vizio TV, etc. Plex is not powerful enough to deal with anything you throw at it. Throughout Plex forum and Reddit, questions about video playback with Plex are asked all the time. Here let’s list the FAQ on Plex and collect the best solution to Plex video playback problems. Ripping and backing up Blu-ray to Plex gives you the access to Blu-ray movies on Apple TV 4 without using discs and heavy Blu-ray player. You don’t worry about the scratch and damage on the discs any longer. Circumventing copy protection and shift format won’t satisfy people nowadays. They want the original video quality. So how to rip DVD to Plex without qulality loss and stream DVD movies with Plex on ATV, PS3/PS4, Roku? Files such as ISO or IMG and folder structures such as VIDEO_TS or BDMV are generally referred to as “disk image” formats because they’re basically “cloning” the structure and content from a DVD or Blu-Ray optical disc. Such formats are not supported in Plex. Since these disk image formats aren’t supported, if you want to play ISO with Plex, we recommend that you convert such content into more common and compatible media formats. I have noticed very rarely plex just doesn’t recognize files. It’s probably just the way it is encoded. You can try to fix this issue by renaming the file with only the movie title since maybe the whole file names are not being recognized by Plex. For example, if your mkv videos are all Sports videos so the names were kind of random. To solve it, you should set your ‘Scanner’ as ‘Personal Video Files Scanner’ and ‘Agent’ as ‘Personal Media’. Plex picks up pretty much any file with that setting. If the problem is caused by the MKV codec (MKV is a container that maybe contain many different codecs), you can try to convert MKV to MP4 for Plex. Plex comes to TiVo on June 8th 2015 to makes it possible to stream your own media, and a lot of other content, to your TiVo device. But if you do need to convert your downloaded Tivo videos to Plex, I also can give you a detailed guide. Plex supports mpeg4, msmpeg4, mjpeg AVI. If your AVI is not encoded with this codec, your Plex won’t play it. Read: Can I get AVI working with Plex to watch on my Samsung TV? It’s impossible to watch the iTunes movies/TV shows on Sony TV directly. We have to use an Apple TV or get rid of the annoying iTunes DRM protection. Question 10: Don’t know clearly what formats Plex support after all? Read What Media Formats are Supported by Plex Media Server and How to Use It? How to Backup Blu-ray Movies to unRaid Server for Playing on Tablet via Plex?